REALLY excited to write today. A couple of weeks ago, I got a custom order from a local artist – author/illustrator V. Kuroji Patrick. 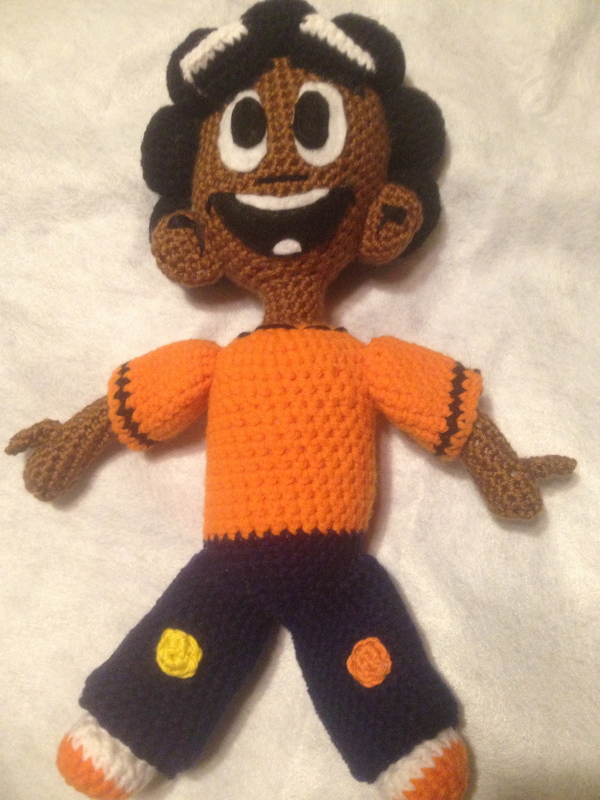 He wanted me to create 3D crocheted versions of his own characters. 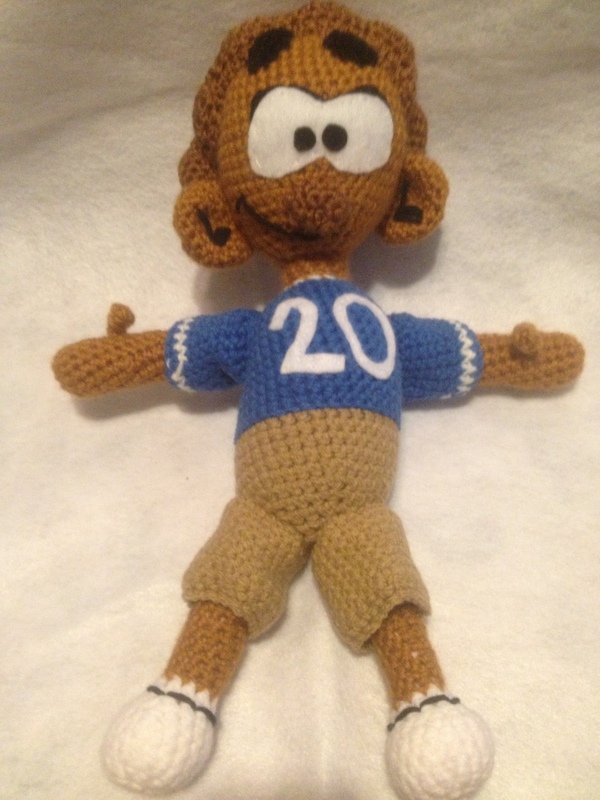 He had seen my crocheted stuffed animals at Think Outside the Store in Silver Spring and I’d done a custom order for a friend of his at CREATE Arts Center in Silver Spring (a Wonder Bunny with caramel skin). I realized something about myself that day. I am never going to say no to a challenge. I believe that there is no problem I can’t solve, no challenge I can’t beat. And that day, in the heat, my brain said, “Yes, you are going to do this for Kuroji.” Was it because it was 98 degrees outside? Maybe a little. But I really thought I could – and should – do it. It was a challenge! What could go wrong? I went out, got the yarn, brought it home, and stared at the characters on the page for hours. I couldn’t screw this up. Kuroji deserved the best I could do. I wasn’t sure I was going to be able to do this. And it turns out, Kuroji also started questioning his order. Holy smokes, I thought, I don’t know what I’m doing here. I know this shouldn’t be a news flash to me. Whether or not you believe we evolved from animals, we’re still really different – at least, in the amigurumi sense. Would I have agreed so readily if I remembered that people don’t have paws – they have fingers? And hair? And clothes? I couldn’t just stick a dinosaur head on a lion body and call it a day. I was going to have to do some yarn sculpture here. Pulling back the curtain a bit, because I know you all will forgive me, I had to play a little with this custom order. Patrick’s fingers, at first, looked like curly fries. 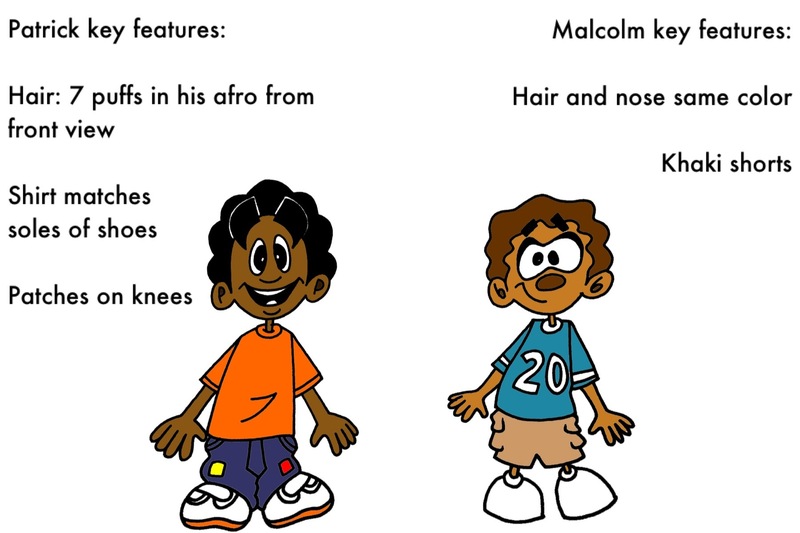 Malcolm’s hairline was too high and he needed a dye job. Patrick’s first set of eyes popped out of his head like HE had heatstroke. And all I could think, as I took out and replaced each piece, was that I couldn’t give Kuroji something I wasn’t proud of. He was too nice. This job was too important to him. And my pride wouldn’t let me give him something I knew I could have done better on. One night, after struggling with the face, I woke up with one word on my lips: “FELT!” Yes, my family does already think I am crazy, so everything is still fine on that front. I have heard many stories about people’s reactions to my creations. My awesome girlfriend Amy gave a T-Rex to a little girl in her life, who instantly burst into tears. My caramel-colored Wonder Bunny for a gal’s Indian friend (who is an actual Wonder Woman) made her cry. This is what I want to have happen. Because it’s about the relationship between the giver and the recipient, something that says, “You are special, I am giving you this to show you how much I care about you, someone spent hours and hours making this, this isn’t a throwaway gift.” That’s something you can’t get from the dollar aisle at the Target. Kuroji didn’t cry when we delivered the characters. But he did jump up and down! Hooked and Loopy on Twitter!